HomeLifestyleDaily LifeJustice League Trailer Review – Can it Beat the Hype of The Avengers? The DC Universe has had a sketchy movie record to say the least, featuring movies of “meh” quality like Suicide Squad, Batman v Superman, and Man of Steel. That record came to a screeching halt when Wonder Woman exceeded all expectations but, as the sprawling storylines come together, will Justice League continue the same level of success? We got a sneak peek at this exciting new movie at Comic Con. It was a long day at the Warner Bros. Hall H panel at SDCC, as they took on the arduous task of talking about a whopping seven films, including their competition to Marvel’s The Avengers. 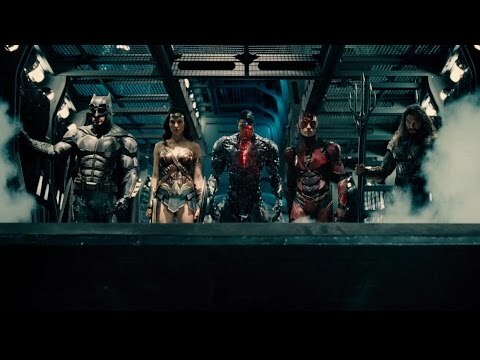 Justice League is DC’s team-up that brings together Batman (Ben Affleck), Wonder Woman (Gal Gadot), Aquaman (Jason Momoa), The Flash (Ezra Miller), and Cyborg (Ray Fisher) to fight the superhuman villains of this Earth. The film rides a metaphorical hype train following the better than expected success of Wonder Woman, which exceeded all box office predictions and received far more positive reviews compared to previous films in the DC Universe. In fact, it overtook Guardians of the Galaxy 2 to become summer’s biggest blockbuster – taking a massive $780 million worldwide. But it’s not just coincidence this film performed well – Wonder Woman is a cultural icon, evolving into a powerful female symbol in this most recent film outing. The weight of this icon has also spun off into plenty of merchandise (the strangest piece of which is a decorative toilet seat), and video game appearances. This phenomenon even includes online slot machines, with not just Wonder Woman, but Superman, Batman, and Green Lantern appearing on the reels at sites like Leo Vegas. And fans of the various superfolk can try each game risk-free through the Oddschecker website with Leo Vegas’ 200% welcome bonus up to £200. With all of this exposure combined, it’s not too far-fetched to say that Wonder Woman is equally iconic on the same levels as Superman and Batman – the two names most people gravitate to when they think of DC comics. So what made the most recent Wonder Woman so good? As per a glowing review on the Guardian website, it’s through a brilliantly realised lost era, believable use of CGI, a stellar script & story, along with creatively choreographed action that leaves you wanting more. But the questions are simple: is this just a flash in the pan, a rare glimpse of glory in a mediocre series of superhero movies? Or is this a studio that has finally found its groove when it comes to caped crusader films? A trailer can’t necessarily answer these questions but it gives us an idea of what to expect. While it is just a trailer, it gives us a good idea of the story, which takes us to well-known territory; the Justice League form up and take on Steppenwolf, played by Ciarán Hinds (if that name sounds familiar, you’ll remember him as Mance Rayder from Game of Thrones). SPOILER ALERT for this next bit… The world is left mourning after the death of Superman (Henry Cavill), as he sacrificed himself in the fight against Doomsday in Batman v. Superman: Dawn of Justice. But the enemy has seen the exposed advantage to attack, and it’s now up to this band of heroes to eliminate these otherworldly adversaries. So far, a good (if slightly generic) premise for a superhero movie. Now, as is expected in any movie trailer played at Comic Con, there are some Easter eggs hiding away in the footage – just waiting to be dissected and analysed by fanboys and fangirls the world over. Is Superman still alive? Okay, this may sound like a stretch but, believe me, he’s strongly hinted to. Most DC Universe film trailers end with a shocking surprise in the final sections. Fans were not disappointed as Alfred was interrupted by an off screen figure whose arrival was so strong as to send shockwaves through the Earth. After this, Alfred is left saying “he knew you’d come,” to an uproar of excitement from nerds across the planet. While there are other options to this (another DC hero like Green Lantern perhaps? ), the most obvious answer to the question “who is it?” is definitely Superman. The Flash Helps Out! This is the first time we got to see how The Flash was going to help and combat enemies with his super speed. The scene in which his powers are used is all kinds of insanely cool – definitely sure to repair any missteps of the TV version of The Flash. This is certainly one hero we’re all looking forward to seeing. While there will always be scepticism following the hit/miss success rate of previous films, this foray into the DC Extended Universe actually looks fun. Amongst the sea of grey colours, dull tones and understated acting, here is a trailer that actually looks entertaining with a whole host of action and humour (particularly from The Flash and Alfred (Jeremy Irons). Comparisons will be made to The Avengers – an extremely well-constructed “team of superheroes” movie that is ploughing through sequels already – so, with Justice League, Warner Bros. have to bring their A-game to even stand a chance here. However, all predictions of success come with the obvious condition that all we’ve seen is nearly four minutes of material. We know nothing of whether this film will be a blockbuster or black mark. But what’s for certain is Justice League makes for a pretty good trailer!